We at Aurora Farms we have several different options for growing produce seasonally and all year round! We currently operate three greenhouses. Our main greenhouse produces veggies all year round and our pepper and eggplant house is now up and running! Stay tuned for more veggies produced out of our brand new large greenhouse! 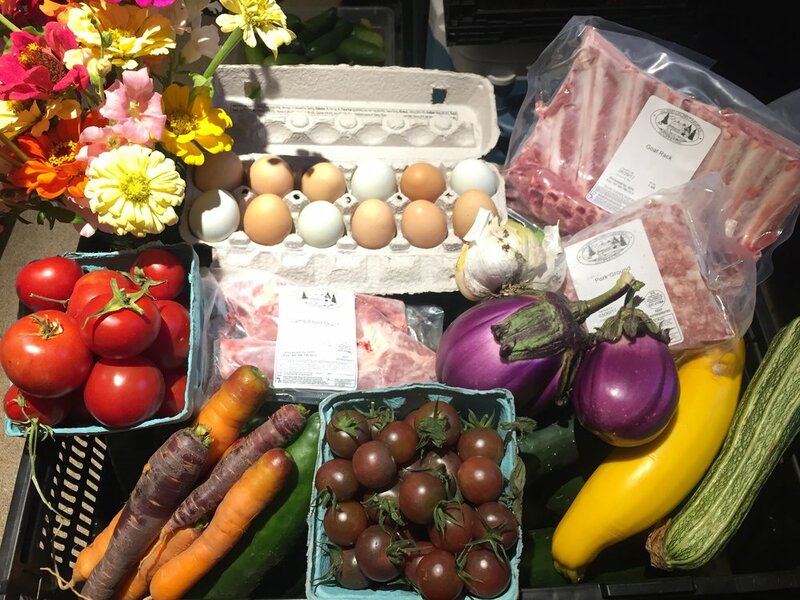 Here is a list of some of the vegetables, fruits and herbs that we produce throughout the seasons, we mainly sell our food to direct customers in the Farm Store, at the Farmers Market every Saturday, San Juan Island CO-OP and wholesale orders! Cabbage (variety), kale, spinach, arugula, lettuce (variety), tomato, tarragon, basil, eggplant, peppers (variety), carrots, potatoes, peas (variety), currants, sour cherries, raspberries, strawberries, garlic (variety), mixed greens, rainbow chard, green beans, cucumbers (variety), squash (variety), pumpkins (variety), chives, sage, lavender, chives and so much more! We also create and sell flower arrangements and edible flowers for beauty and flavor! We also raise succulents for floral displays and potted plants. Please feel free to come to our self-serve farm store to check out all that we offer, all year long. If you would like to preorder anything please call 360-378-0233. Check our Farm Store in person today!